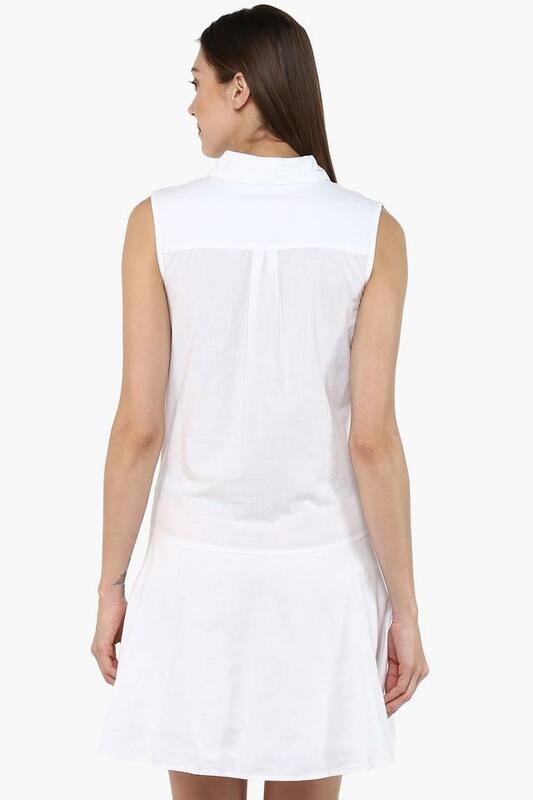 Flaunt your beautiful curves with this shirt dress from Lovegen. Fashioned using good quality fabric, this dress will not fail to catch your fancy at a single glance. 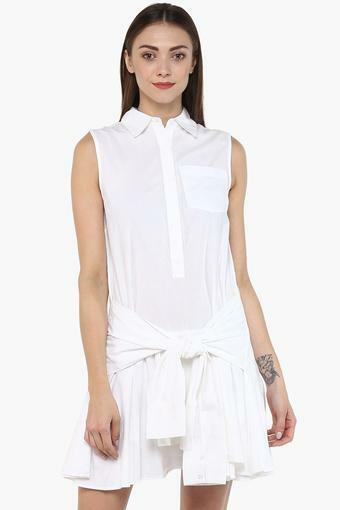 Featuring a collared, sleeveless and solid pattern, this shirt dress boasts of dapper fascination. 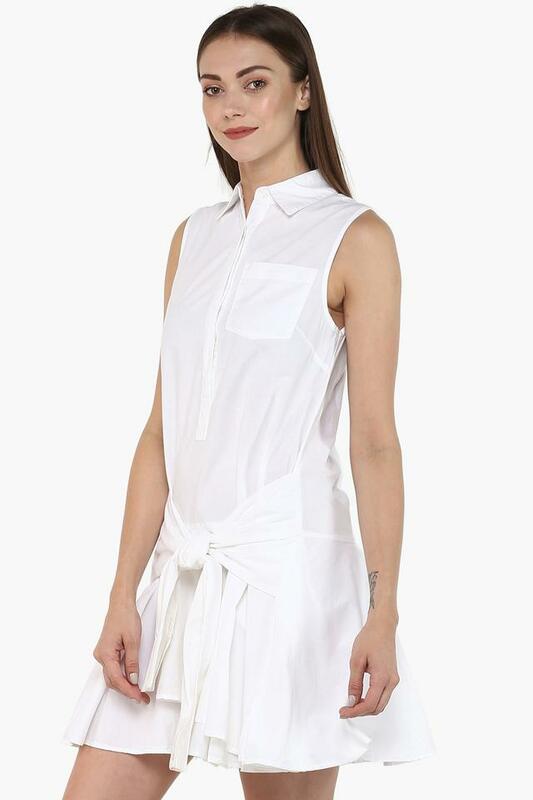 An ideal pick for you to wear on casual occasions, this shirt dress is versatile enough to complement a wide range of shoes and accessories.